When handed a dark and mysterious note during a performance of Swan Lake, noted spiritualist and medium Victoria Bonpartie has a chilling vision and is compelled to investigate. Black Swan is rated 3.3 out of 5 by 30. Rated 5 out of 5 by AdrianaIP from Wow! It keeps you glued to your seat The best games are the ones who work on their storytelling first, (hey, Dave Gilbert, you are tops....), and this is telling a story that unravels slowly, and from what I read, will not disappoint at the end. Add to it, gorgeous visuals, and gorgeous music, good puzzles (though I could do without the "Simon says" ones), and inventive HOGs This is a winner all around. 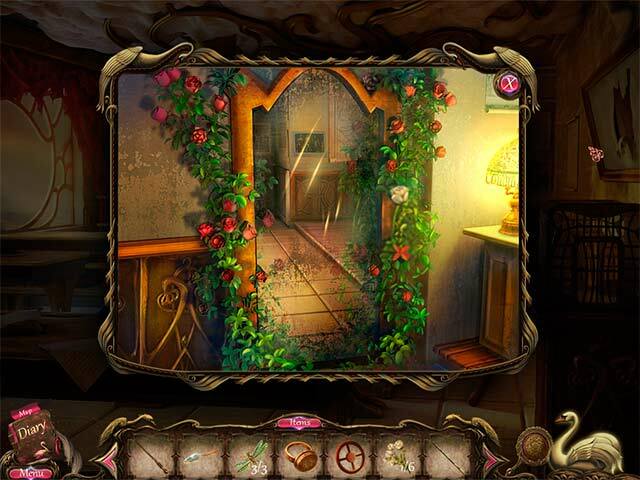 Rated 5 out of 5 by smilingsun72 from Dance with spirits to solve the mystery at the ballet academy! I found this tucked in the "games you'll love" and it was on sale so I thought I'd buy it. I am glad I did. Though I've only played a short time, I stopped to comment on this game, I found I love this game. The story is very interesting. The graphics are beautiful. And the music perfect for the theme of the game. The puzzles are not that easy, even on the easy mode. The HOs items are easy to challenging to find, which is great. This is like when HO games first came out. You have to look for things and figure out stuff. I can say I have found myself flustered sometimes. But if I step away a bit and come back I usually figure out what to do. The hint may need to be used when you find you've exhausted everything, and it doesn't recharge as quickly as other games. There is not a map so you have to remember where you saw things that later you'll come back to. If you are looking for something different and very challenging this is it. And you can always try the demo first! Rated 5 out of 5 by Sheerija from REVIEW OF COMPLETED GAME This is one of the best games I have played in a very long time and I wish to extend my admiration to the Devs for something out of the ordinary, that makes you think and take initiative and that is thoroughly engrossing. When it first started I thought it was pretty run-of-the-mill, but I quickly changed my mind a little way in. And, that was just the first half. When I got to the second half I was delighted and enthralled by the imaginative and unique way this game is put together. The cut scenes are magical, with the beautifully designed silhouettes of the ballerina, who flowed faultlessly through her dance routines in such an elegant and captivating manner. The puzzles are mostly quite unique and, if one likes solving puzzles, extremely worthwhile doing. The HOS are interactive in a wholely different way than we are used to, and if at first they seemed puzzling, once I got the idea, they were great. Of course, this game is not perfect. It threw small hissy fits 2, maybe 3 times and had to be re-entered, but that I have encountered all my gaming life and is no big deal. The story is fascinating, unfolding throughout the game in a way that made me eager to find out more. There was a moment of intense sadness, that actually brought a tear to my eye, moments of "wow, that was great" and moments of "Hey, that was really clever". The game is accompanied throughout by the piano music from Swan Lake and I never get tired of hearing that. Very well done, indeed. The jump map makes the game free of that horrible random wandering not knowing what to do, and the hint button always tells which direction to go, for those who do not like maps. On the odd occasion when neither map nor hint showed anything, it was only because I had something in my inventory that had to be completed first. So, there is no being stranded with nowhere to go. This game has been put together with all the thought , care and attention necessary and there are no loose ends. Beautifully done. There are no cutsie helpers. In fact nothing about this game is cutsie. It has an extremely dark side that strikes a small chord of disquiet at times. Definitely not for the little ones. I would not say "Adults Only", exactly, but try it yourselves first if you are going to let your offspring play. These are Devs with a knack for mixing all the genres to a really good degree, so that one is not overwhelmed by one element or another. In case it is not clear, I LOVED IT. I think people have been too quick to judge and have deprived themselves of something really special. I advise giving it a fair shake before giving up after only 10 minutes and then saying it is a dud. That is hardly fair to the Devs, who put so much into this and deserve much fairer than that. Thanks guys. We do not hear from you very often, but when we do, you are well worth the wait. Make more, please! Rated 5 out of 5 by Idiot_Savant from FAScinating!!!!! Barely begun but forced to pause- so unique! Long lived eyes troubled by the hogs, long lived brain troubled by the alternative game, but am so utterly enthralled couldn't give a rat's derriere... despise negative reviews based on bare attempts but here I am making a positive review based on the same thing! But you know what? I have full confidence I shan't be disappointed, dare ya to join me- now back to this totally out of the box adventure! Rated 4 out of 5 by culliesue from Unique, interesting, needs an update. I enjoyed it, very quirky though. I found several of the HOP's wanted say a butterfly but turned out to be a starfish, therefore several hints having to be used. This happened about 3 times in the game and many misspellings, as well as several other little kinks along the way. I think they should go through the game and find all the items that need work on and do an update for further buyers. Rated 4 out of 5 by underwriter from So Beautiful OK, I haven't finished the game yet, but I wanted to weigh in before too much time goes by. I am enchanted by the graphics, particularly of inanimate objects (the people are a little different) and will finish this game, even if it makes me completely crazy with glitches (but there have been none as yet) and being picky about cursor placement (I have had some of that) and games with no instructions (at least I couldn't find any, and that's the only reason for any fours instead of fives). The graphics are reminding me of the graphics in the first two Haunted Manor and the first Witch Hunters, which I loved so much, I think I cried when the dev decided to go more mainstream. There is also a resemblance to the Dream Chronicles series graphics. So if you are loving the graphics and want more, those are places to look if you haven't already. I am not a big fan of morphing objects, but in HOPs I don't mind them, and I think these are well done. If there are two HOPs of the same scene, the second is silhouettes/find and use; if you see an object that is silhouetted and you aren't able to use it yet, you probably won't be able to pick it up until you have whatever-it-is you need to pick it up with. I'm not going to be any more specific; I think those who have, have done a good job. Besides, I want to get back to playing it rather than talking about it. Rated 4 out of 5 by kandinsky from THE SOUND OF ONE HAND CLAPPING There is one main thing I liked about this game and I am going to weight it so heavily as to give it high marks but with an awareness of the strange situation reviewers face with games one wants to encourage and yet which aren't very good in many ways. the bad first as it seemed to me: terribly repetitive HO games relatively easy but too many by far and puzzles which did not interest me or perhaps which I did not understand or could not do or feel like doing and skip time too long. English uncorrected. Plot it seemed to me not well resolved or consistent in detail. Plot for that matter that I ,likely you too, have played any number of times one way or another. These things would seem to add up to a game too hastily put together to get it out there and without care or time for detailing. good things: Swan Lake music is good of course but I turned sound off much of the time. it is sufficiently long. and one thing that seemed to me GREAT and this may just be to my sense but somehow the art used to create the dark world entered through the house of this dimension and towards the end of the story is wonderful. 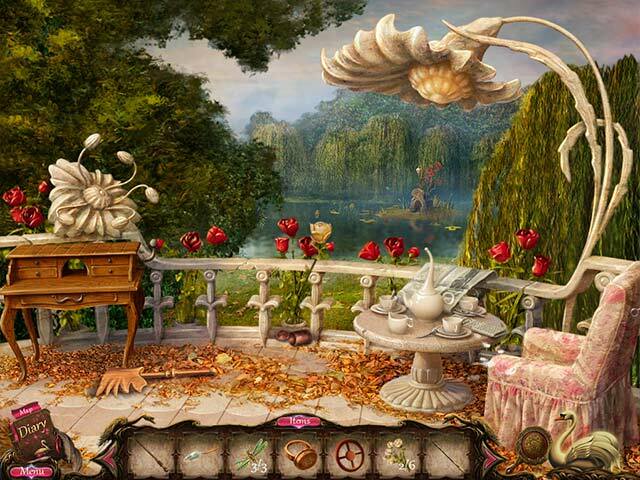 It has, or maybe just from my feeling of this time I played , a sense of strangeness and Other World quality more than any I have felt in all the games with visits to other dimensions. Is this just based on feeling and impression of the moment? or anyway it must relate to my own sense of things etc But if it is a real achievement it is something worth celebrating considering the number of games that attempt it. Is that enough for you to want to play the game? Your call. my recommend is on the basis of the above notes and your having empty time to fill. Rated 4 out of 5 by SkyeGray from A Little Gem Ordinary save-the-ghosts storyline, but accompanied by Beethoven, Tchaikovsky, Mendelssohn and really pretty, imaginative graphics. 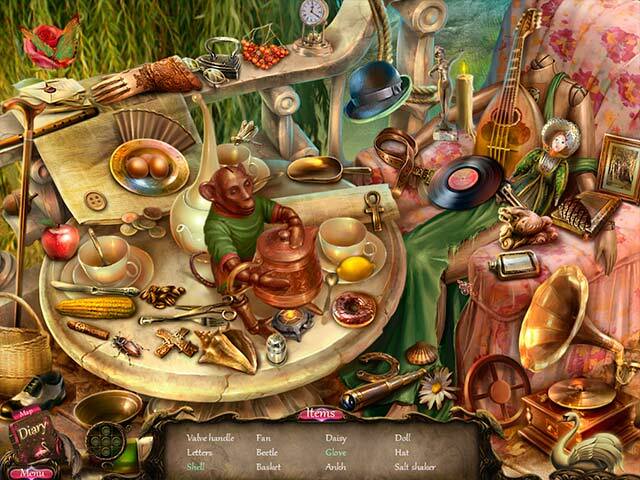 Some of the hidden object scenes have multiple morphing items - some of them you have to catch when they change. I didn't look too hard, but there seemed to be no directions for some of the minigames - however even I was able to figure them out. Hints charge quickly, skips not so much. Maps move you here to there - all of the necessities for smooth gameplay. It's funny - sometimes little games like these are quirkier and more rewarding than the big budgets. Rated 4 out of 5 by arnold1049 from A LITTLE QUIRKY The game started out a little rough. The lead-in narrative went by too fast for me to understand what it was trying to tell me. First I got the impression that the Black Swan was a ballerina. Later game play proved this was not correct. Anyway, the background set up of the game left a lot to be desired. Gameplay was also confusing, partly because of the less-than-understandable lead-in. I used a lot of hints, both inside and outside the HOS. The HOS were very entertaining, as they contained morphing objects for some of the items that needed to be found. This was a neat way to require more attention to the scenes and to make the HOS more interesting. Mini games did not stand out one way or the other. The game left me with the impression that it has a good pace to it and it kept me busy and interested.